Private Pool Home near Disney, backing onto conservation land!! RENOVATED!! Beautiful pool home located in Sandy Ridge subdivision, very desirable due to its proximity to Orlando Theme Parks. Very popular one story home (bungalow) has 4 bedrooms, 3 full baths and is fully equipped and professionally maintained, providing you with all the comforts of home - guaranteeing your family a relaxing and enjoyable holiday in a peaceful location, with your OWN private pool and everything you need for a perfect 5 Star Vacation at an affordable price. Minutes from the Villa you will find grocery stores, shopping, restaurants, and multiple golf courses. PERFECT LOCATION - Close To Everything!! 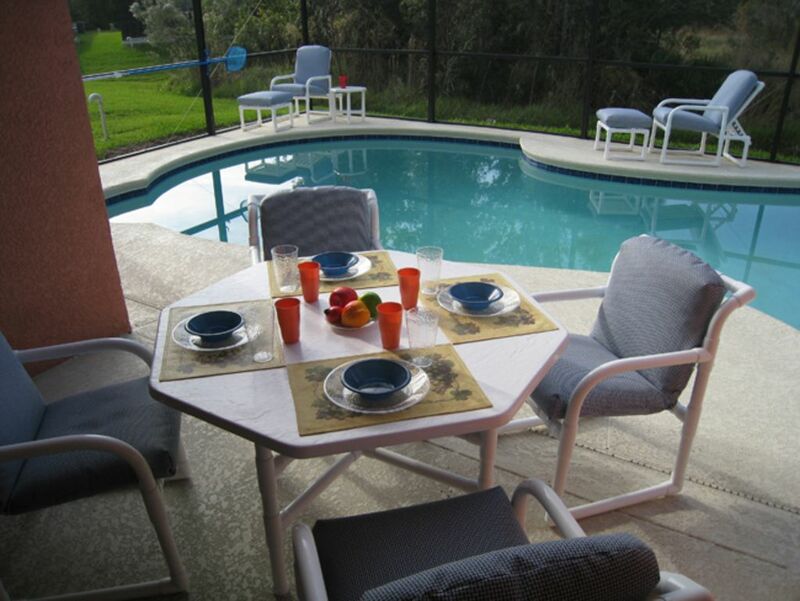 So, if your family vacation involves visiting theme parks, golfing, shopping, or simply lazing by your own private pool, you could not find a better home than H & M Villa Orlando!! So, if your family vacation involves visiting theme parks, golfing, shopping, or simply lazing by your own private pool, you could not find a better home than H &amp; M Villa Orlando! !